The café is open to the public without museum admission, and the number of such visits has increased by 80 percent since the new café opened. The newly renovated café at the Asian Art Museum, Sunday at the Museum, serves not just museum visitors, but also the staff of about 200 who work there. And increasingly, café customers are people from the community, stopping in to grab a miso avocado toast or garlic prawn noodles. Providing food for the museum means broadened horizons and flavors for Chef Deuki Hong to experiment with. Hong’s professional background is a blend of classically trained French cooking and a resume from some of the edgiest kitchens in the country, including Momofuku. Known as a respected Korean barbecue chef, the native New Yorker came to San Francisco last year and started the popular Sunday Bird, in which he partnered with the Boba Guys restaurant for a low-key (but much-hyped) hidden Korean fried chicken joint. “Sunday Bird is more Korean, but the museum is more Asian, so it encompasses so much more,” Hong says. 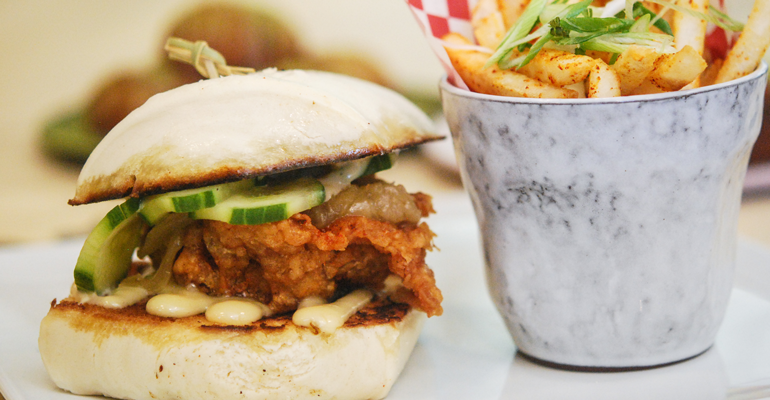 Korean influence is strong, however, on the museum menu: the chili-garlic “Sunday” chicken wings that helped make Hong famous are on the menu, along with a classic Korean fried chicken sandwich. Korean rice bowls with a grilled protein have been a big hit since day one. 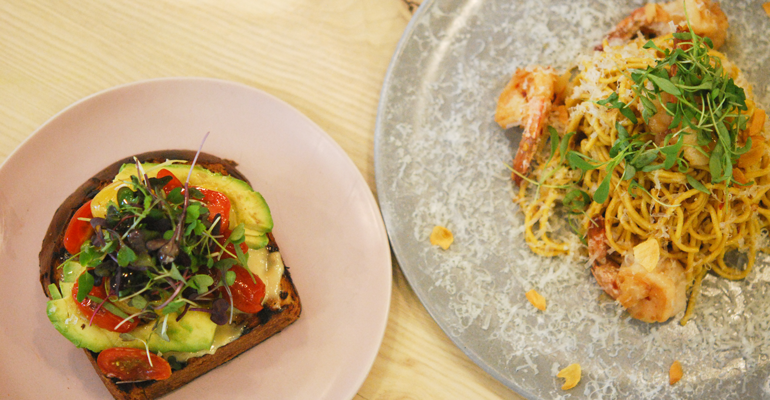 Menu surprises come through in the details, like miso avocado toast on Japanese milk bread or a kiwi salad with recycled tea leaf salad dressing. Other items, like garlic prawn noodles “hits nostalgia notes if you grew up in Taiwan,” Hong says, but are just plain appealing to anyone else. Hong left any pretension at the door, he says, not wanting to reinvent the wheel, creating food that visitors and museum staff will love (the museum employs about 200 people). Hong splits his time between his two places, taking the 15-minute walk between Hong’s Sunday Bird chicken window on Fillmore Street to the downtown museum. While the walk is short, the neighborhoods are worlds apart, Hong says.